There is nothing I like more than a good kill video, especially when that video brings in an element of machinima and storytelling on the side. Suge of Suge’s Movies put together a perfect example of a kill video intro done right with Warlord Blackhand. You may remember Suge from the lengthy and absolutely gorgeous Siege of Orgrimmar movie Pride, released last year. He’s stepped up his game even further with Warlord Blackhand, and between the production quality and the new character models this pretty much knocked my socks off. However, this piece is just the introductory segment for the Mythic Warlord Blackhand kill video, which can be seen in full on Suge’s YouTube channel. I’d recommend watching that full kill video too, because there’s a teaser at the end suggesting there is more to come. Will we see another hour and a half long sequel to Pride in the future? It’s a good question, and I’m hoping the answer is a resounding yes. Until then I’ll settle for the kill videos. 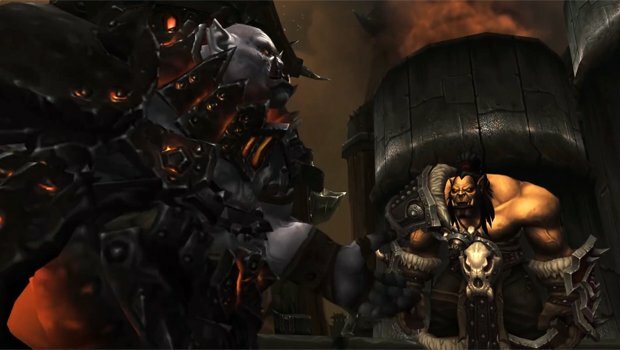 Take a look at Warlord Blackhand below, and if you’re interested in seeing more, be sure to check out Suge’s Youtube channel for Pride as well as additional kill videos from Highmaul and Blackrock Foundry.